The seasons roll, as we all know, from winter to spring to summer and autumn. Between them are all the little stages – the mud, the budding trees, then the dandelions – each one following the other predictably. And every year, so to do my attitudes toward the berry patch. I emerge from a winter’s dream of bulging berry baskets and full bushy plants, and step out into a muddy and disappointing scene. Here there are snapped branches and canes that aren’t as big and numerous as I remember. But I begin in earnest to weed and prune. I revive my equipment, also sleepy from the long winter. Hope begins to build as I reclaim row after row from weeds. I start to believe the work that once seemed insurmountable might be manageable after all. 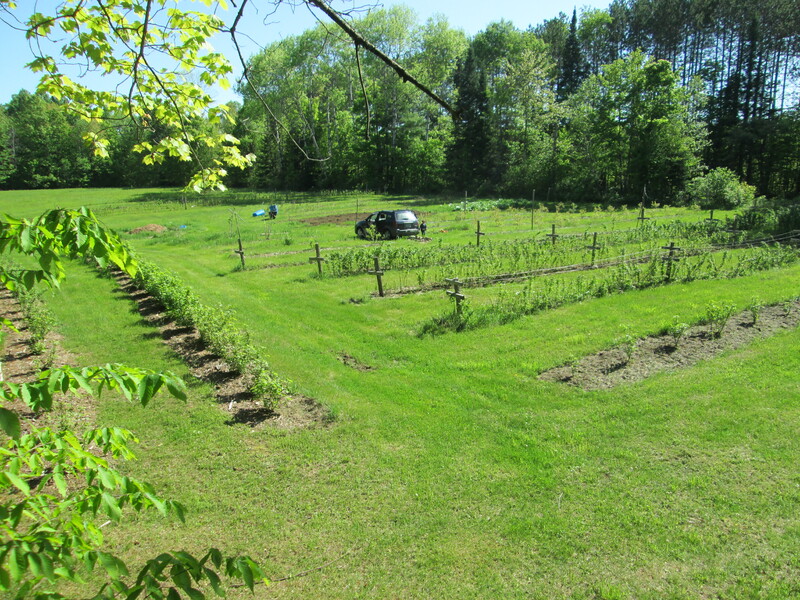 The berry patch begins to grow and so do new and more vigorous weeds. Summer can bring sudden unexpected storms. My irrigation pump fails, but I learn a few things by working on it and so am able to fix my mower. And now it’s June and I am full of anticipation. I await the berries, the markets, and the melons I’m trying to grow for the first time. But more than any of that, I anticipate meeting our new baby – due in only a couple of weeks. Each bud that bursts and beautiful blossom is a blessing, but the baby beats all!